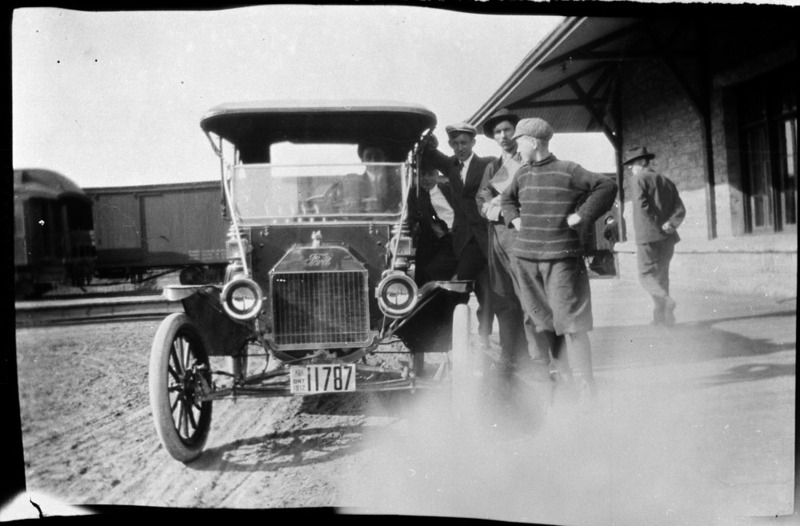 Model T Ford Forum: Old Photograph - brand new 1912 ? Old Photograph - brand new 1912 ? Model T Ford Forum: Forum 2018: Old Photograph - brand new 1912 ? Captioned "Ford car near railway depot". Still new and shiny!Even the passerby takes a second look.